I used one of my new Ippity stamps for the bunny, hes got the most cheeky smile and I adore him! 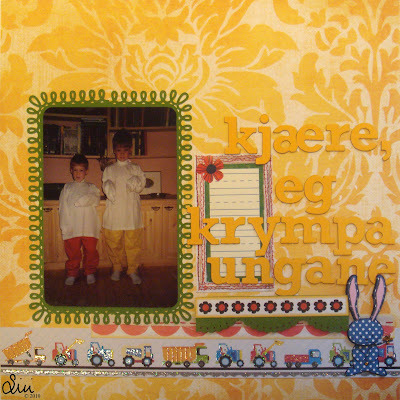 Its the first time I´ve stamped on PP like this, and layered it. Great technique, should have done it sooner!